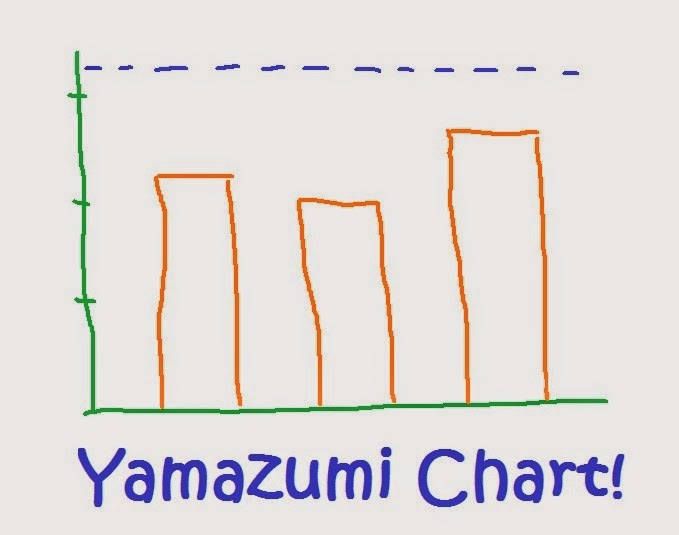 I love Yamazumi charts! I'm a geek, so I think all charts are pretty cool, but Yamazumi charts are awesome because they have the best sounding name! Yamazumi charts are often called work balance charts, but come on. . . this is one time where the Japanese name wins, hands down! What the heck is a Yamazumi Chart? A yamazumi chart takes the entire process and breaks down the individual work tasks by station. It's essentially a bar graph, where each bar represents an operation. By visualizing all the tasks side by side, it's easy to identify bottlenecks and look for balancing opportunities. The vertical axis is a time measurement, usually in seconds. A standard time, generally takt time, is also plotted on the graph. While yamazumi charts can be used for training, they're most often used during process design, line balancing activities and waste elimination kaizens. A standard bar chart is a great illustrative tool to show the state of the entire process. But often a stacked bar chart is used to show the work elements within each step. Yamazumi is Japanese for "stack up," and when you're digging deeper into the process, a stacked bar chart is helpful to see what elements can be moved to create a better balance. Lean Lab has developed an online version of a Yamazumi chart. It's pretty neat! If you're tired of Excel charts and want a little different look, the graphics are cool. And if your computer is an Internet-enabled tablet, you can just bring this up on the web and enter the times right at the gemba! On the left side is the input table, with a place for naming each operation and the takt time. I created a fictitious process to generate the chart below. As you can see, I'm in danger of shorting the customer! My sample process is NOT good enough. Gluing takes too long! 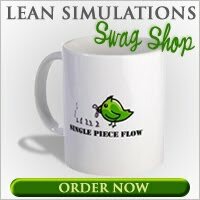 If you're looking for more lean tools like this, check out my full list of free lean resources in the sidebar. Trader loans help entrepreneur's open entryways for better sorts of financing openings. Amazing site, Im advancing and might apply to my present place of employment as a pet sitter, which is exceptionally pleasant, yet I have to extra grow. Respects.